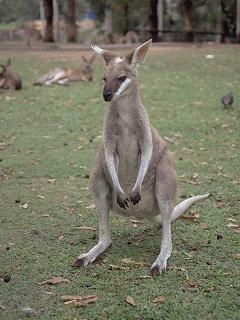 Welcome to Travel Guide 2 Australia, the site about travel, tourism and vacations in Australia. 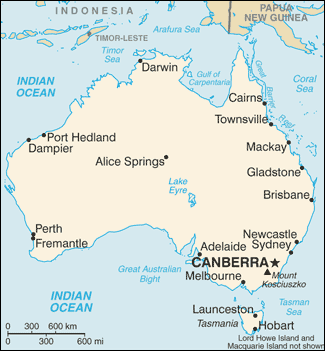 The Commonwealth of Australia is a country in the Southern hemisphere which encompasses the entire mainland of the Australian continent, as well as a number of islands in the Pacific, Indian and Southern Oceans. The largest of these islands is Tasmania which is located 125 miles (200 kilometers) across the Bass Strait from the southeastern corner of the Australian mainland. Australia has no land frontiers with any other countries, but does border a number of other countries: Timor-Leste, Indonesia, New Caledonia, New Zealand, Papua New Guinea, the Solomon Islands and Vanuatu. Australia is today home to around 21 million people, the majority of whom live in the capital cities of each the five mainland states: Adelaide (capital of South Australia), Brisbane (capital of Queensland), Melbourne (capital of Victoria), Perth (capital of Western Australia) and Sydney (capital of New South Wales). There are also of course quite a number of other cities in Australia, including the national capital, Canberra. Australia has an estimated GDP per capita of US $34,359, making it one of the top 20 countries in the world in terms of both absolute GDP, and GDP per capita. The Australian economy is dominated by the service sector which accounts for nearly 70% of GDP, but agricultural and mining sectors, although a relatively small portion of the economy (less than 10% combined), dominate Australia's exports. Although the majority of Australia, by area, is either desert or semi-arid grasslands, there is in fact a wide range of different climatic regions in the country, These include temperate zones, subtropical and tropical areas, and even equitorial climatic regions, and thus the continent is home to a wide range of habitats. As you might expect, this allows a great diversity in wildlife, and is well-known, Australia's flora and fauna is like no other place on Earth. Some of the continent's amazing and unique wildlife, includes the kookaburra, emus, the playtpus, koalas, and of course, kangeroos and wallabies. Australia is also home to the world's largest coral reef system, the Great Barrier Reef, which runs for over 1,600 miles (2,600 kilometers) along the coast of Queensland. The Great Barrier Reef is in fact the largest structure created by living organisms, and can even be seen from space. The reef is located in warm clear waters and is home to many different creatures, and thus has become a popular tourist attraction, visited by more than 2 million tourists each year (SCUBA diving, snorkelling, and boat trips are all available). While you are sure to want to see the wildlife, there are many other reasons to visit Australia too. These include beautiful beaches, incredible natural landscapes (such as Ayers rock), and cosmopolitan cities, rich with culture, cuisine and architecture. 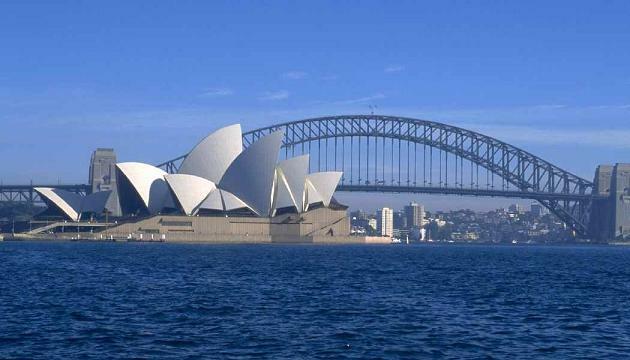 Perhaps the most iconic symbol of Australian cities is Sydney Opera House in Sydney, New South Wales, which was completed in 1973.